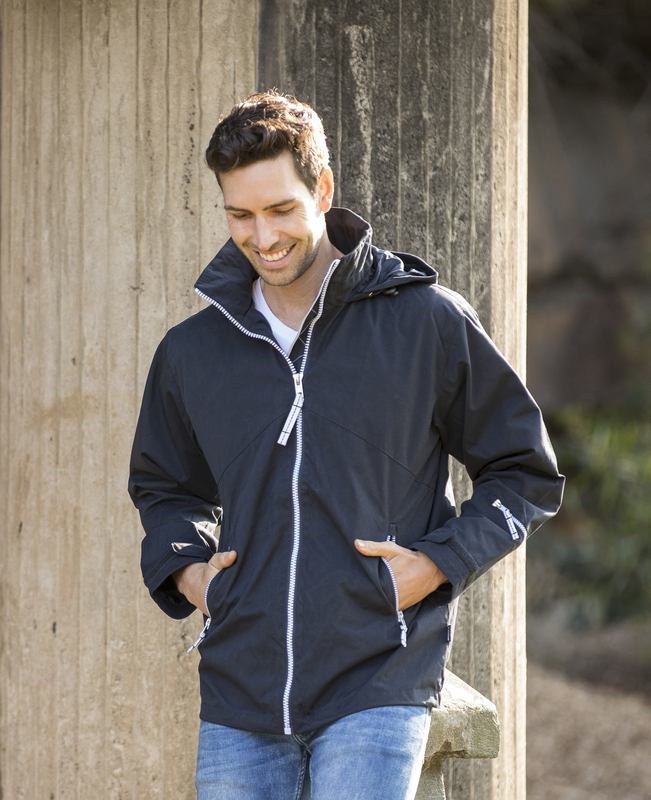 Classic unisex, water resistant jacket with hidden hood, two front pockets, one inner pocket with exit for earphones. Pocket on left sleeve, Velcro® adjustable cuffs, and drawstring at hem. The lining can be opened for ease of decoration.